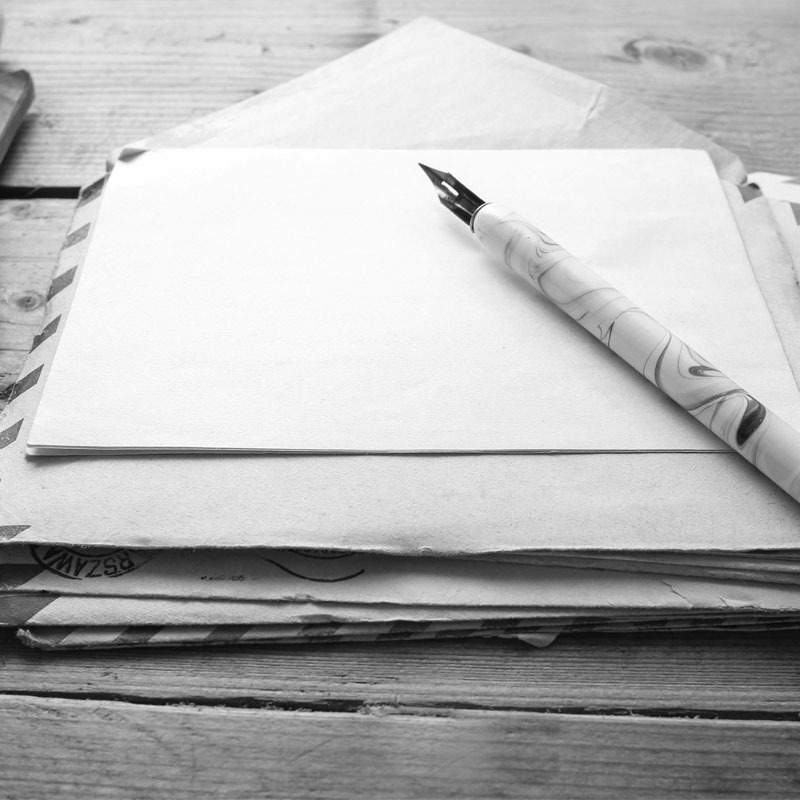 Get a Letter Written Now! 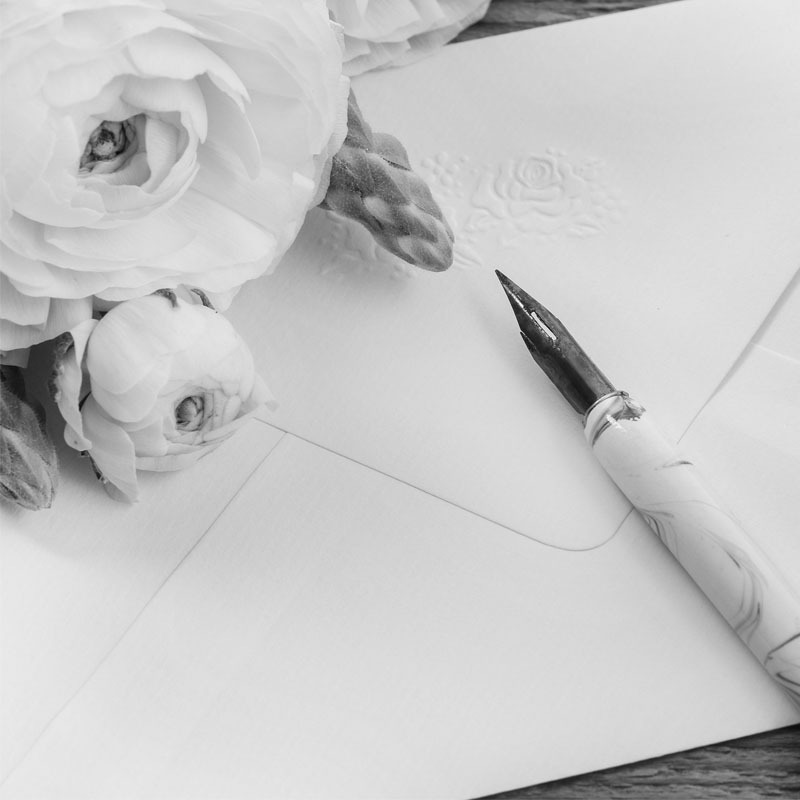 Handwritten letters will never go out of style, and they are still the sexiest way of communication. 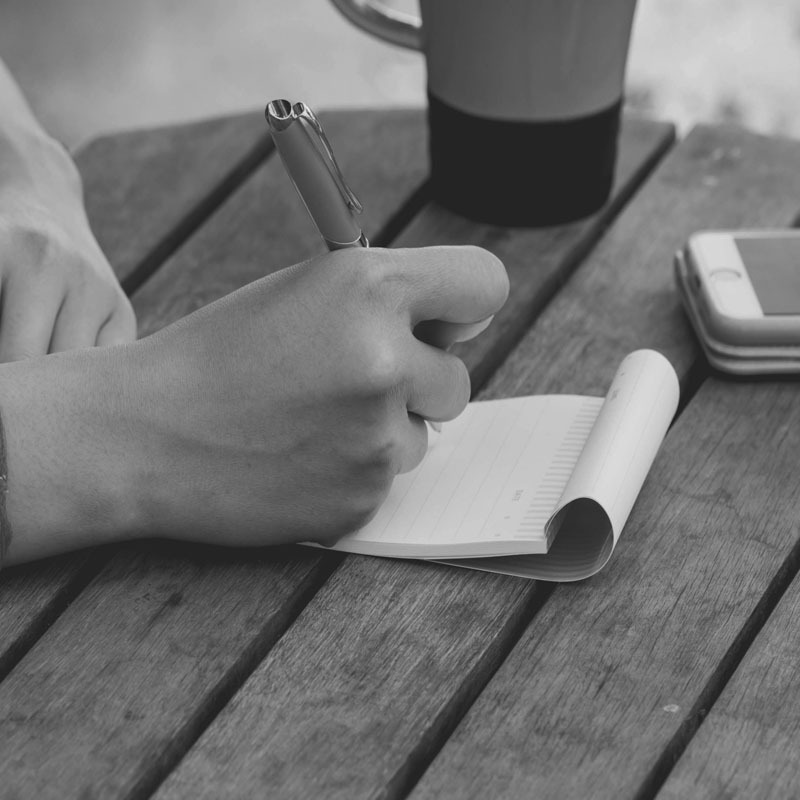 Penning down thoughts may come across as an old-fashioned way of expressing in this era of instant messages. 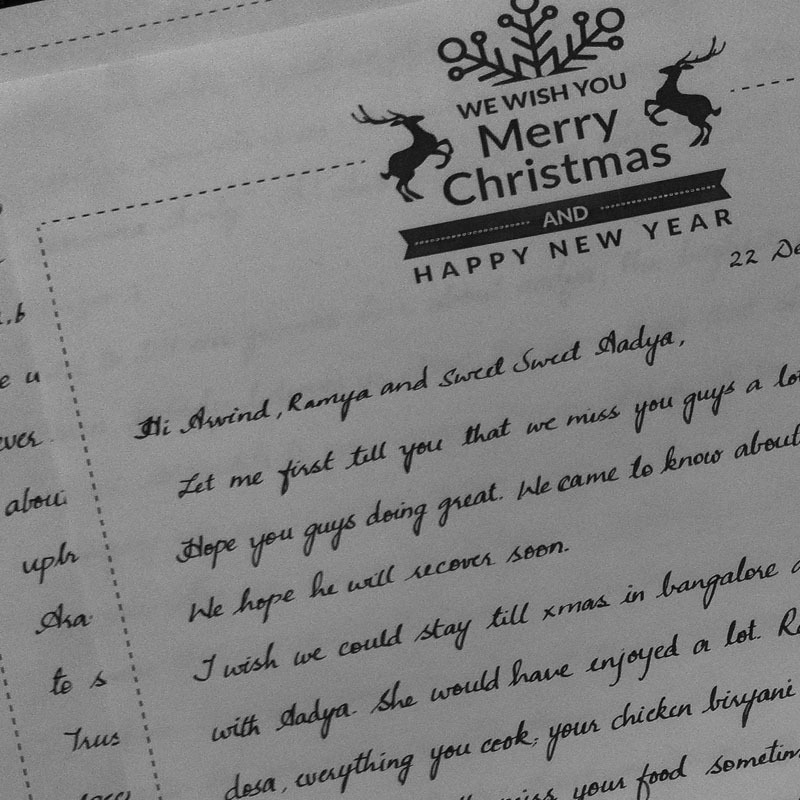 But, if you believe various surveys conducted for best gifting options, a handwritten letter still is the best-personalised gift you can give someone, yes second to your time. 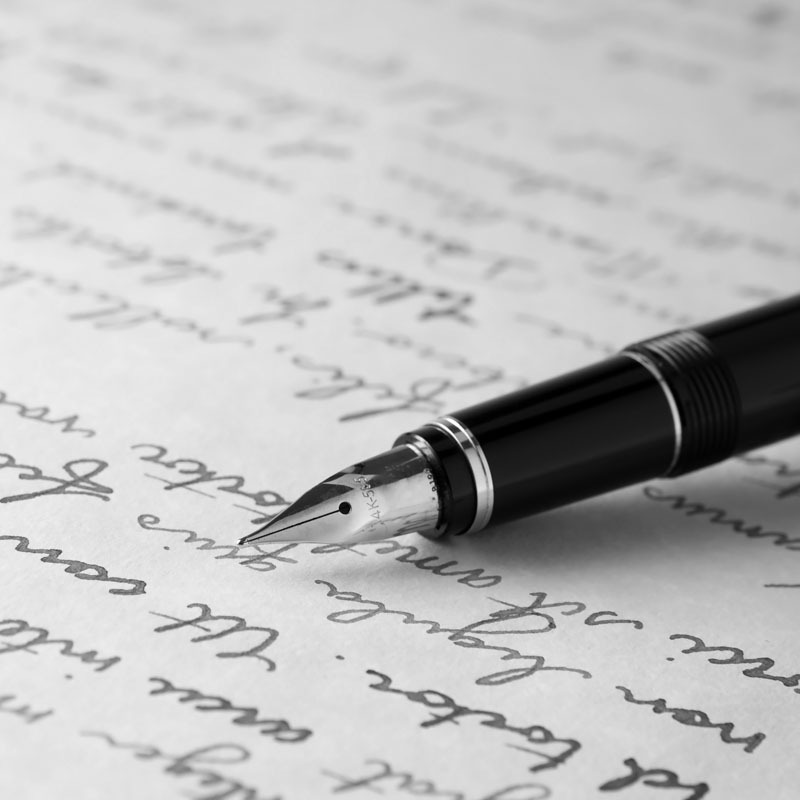 A handwritten letter shows how much time you must have invested in coming up with the exact words, as you cannot delete a wrong word in a handwritten letter with a click of a button like you do in an email or a message. 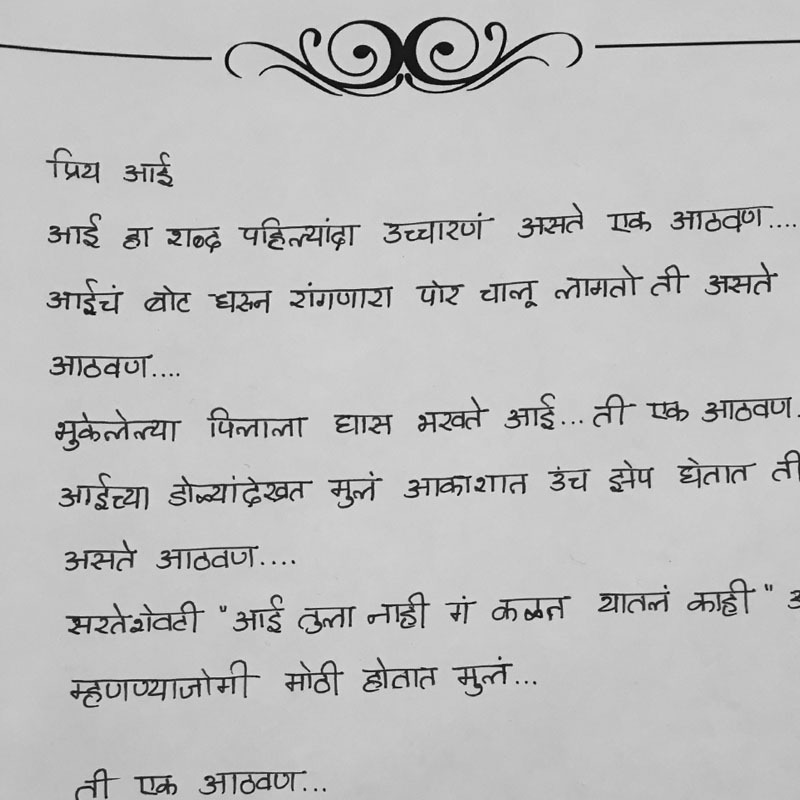 Spammed inbox with ballads of love or apologies may seem like a good and more accessible idea but holding a love letter with a smile or sleeping with a sorry letter under the pillow is still an unmatchable magic. 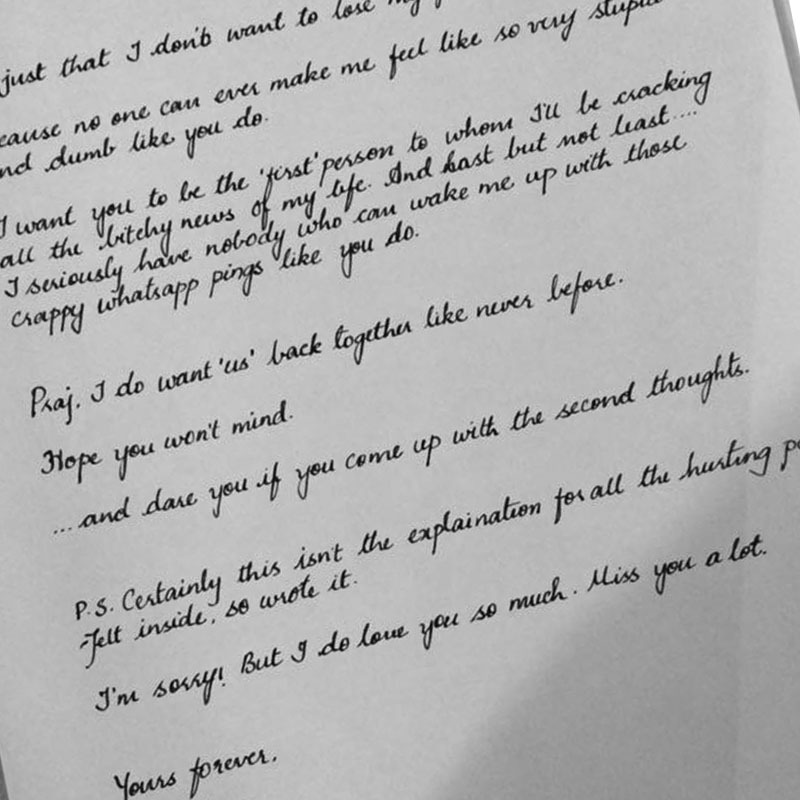 Never forget the element of surprise that comes with a handwritten letter. 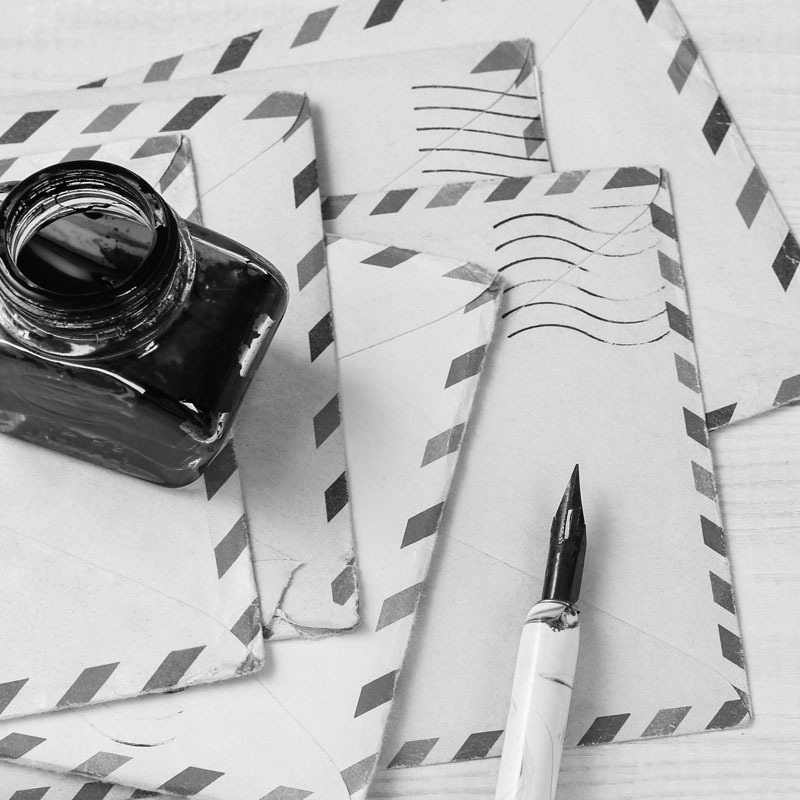 We exchange hundreds of emails, whatsapp messages, tweets these days sitting in front of the computer screen or on a mobile phone but the thought of receiving handwritten letter hardly ever crosses our mind. 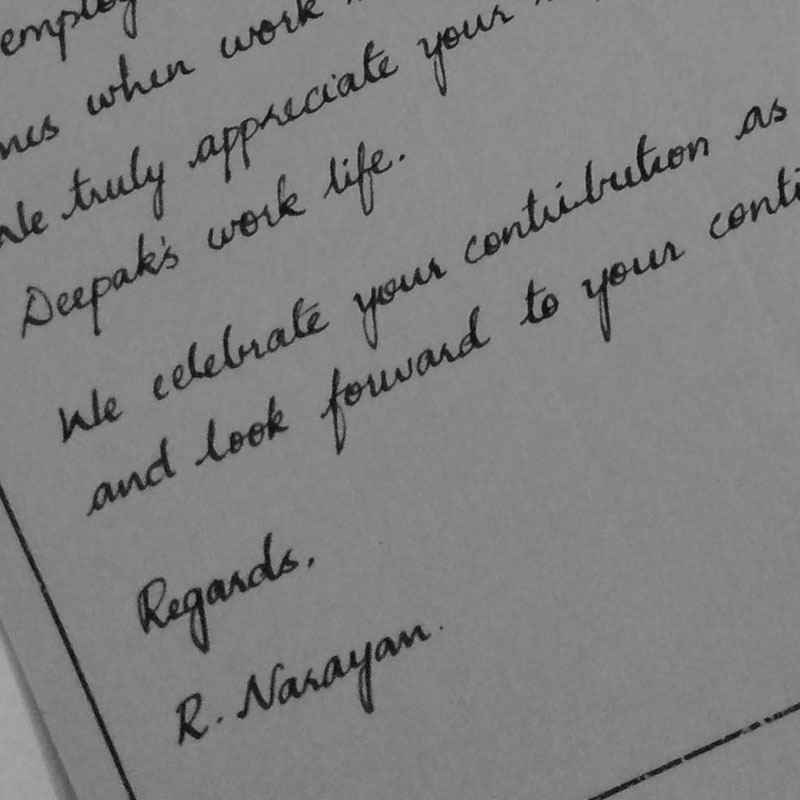 When, and if a person gets one such beautiful gift, it's always a welcome surprise which also makes you feel important in the life of the sender. 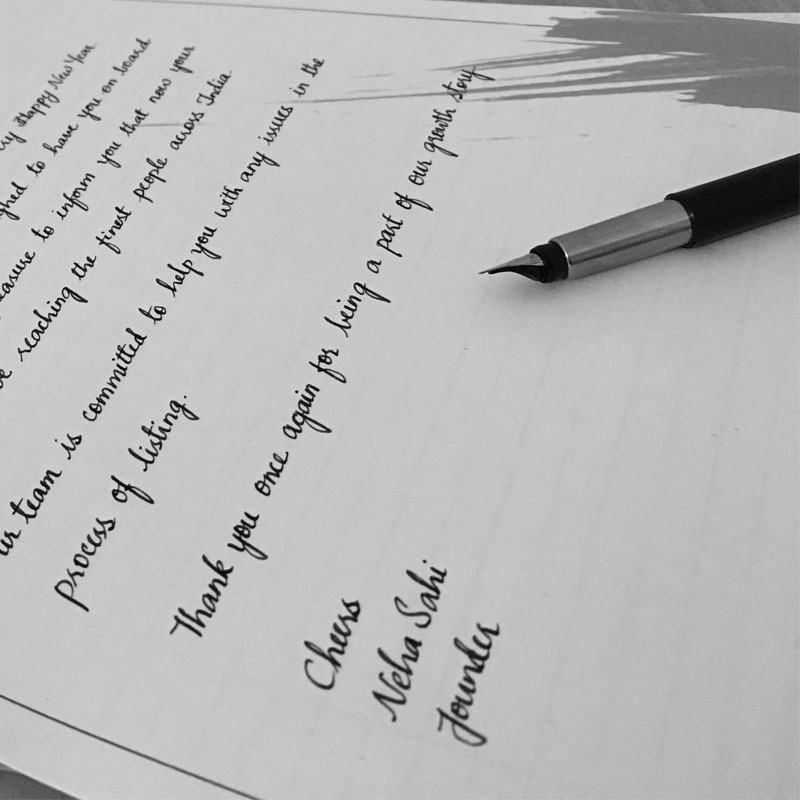 As he/she has spent so much time and energy in coming up with a handwritten letter so beautiful. 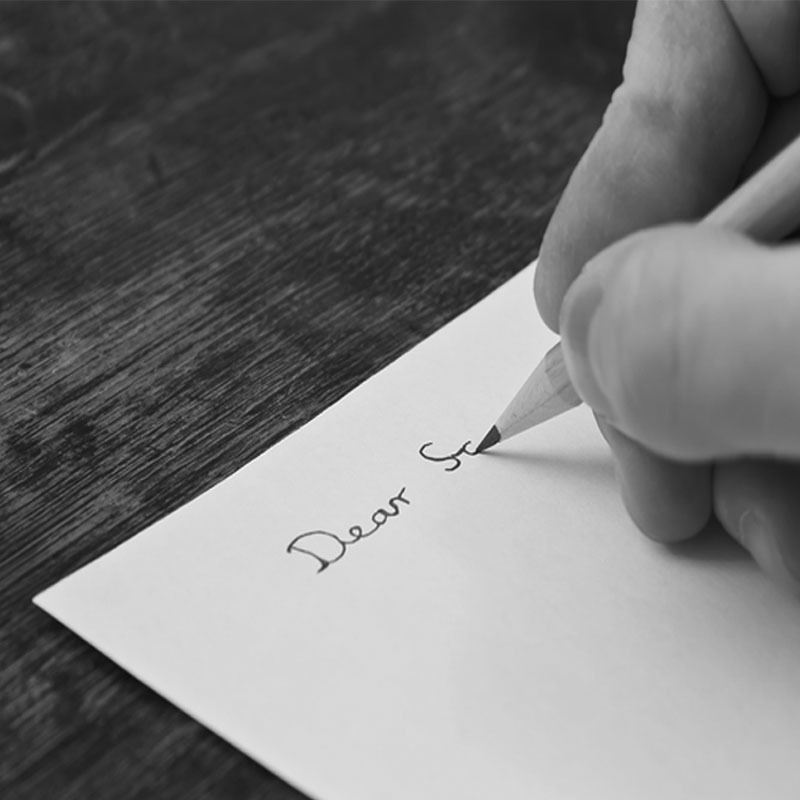 A handwritten letter always makes an everlasting impression on the hearts of the receiver. It’s a memory that can be revisited by reading it again and again and felt by holding it in the hand, even after years and years, which can never be a case with an email or a message. But writing the exact words that someone is feeling, is not always that easy and yes the packaging does matter. 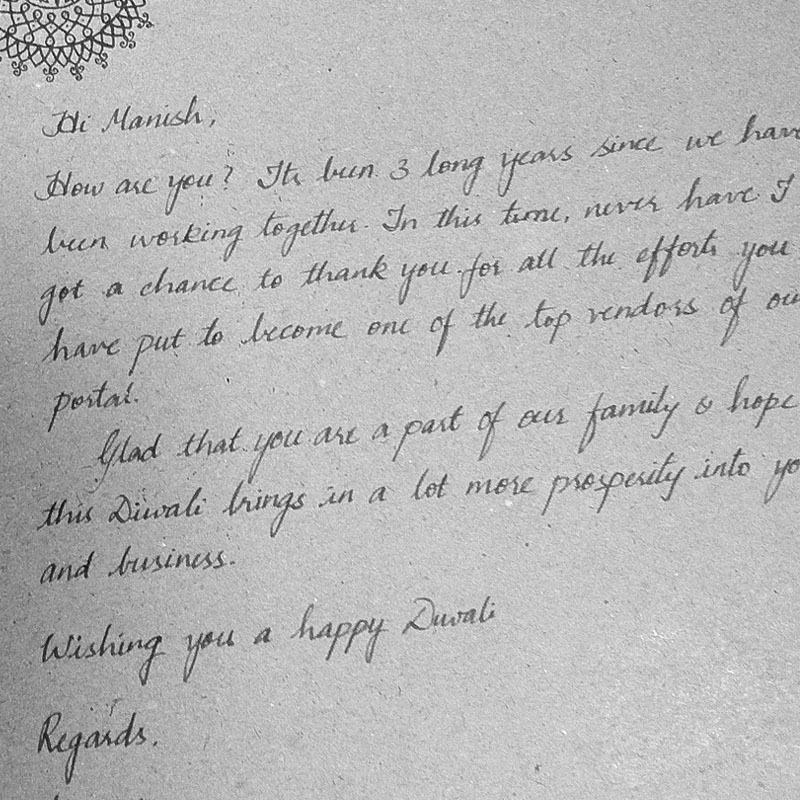 A well drafted a handwritten letter on a high-quality paper in a beautiful handwriting always makes a better impression. 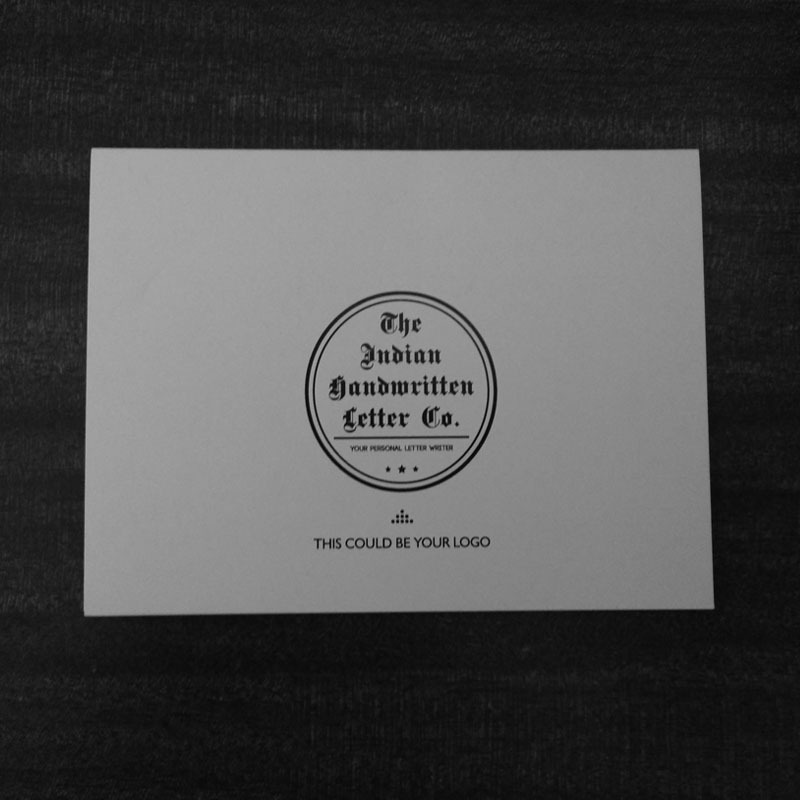 So here at The Indian Handwritten Letter Co., we help you out in not just drafting a perfect letter, but also writing it for you and sending it across on your behalf because we believe beautifully handwritten words on paper get engraved in the heart. Christmas greetings and New Year greetings. 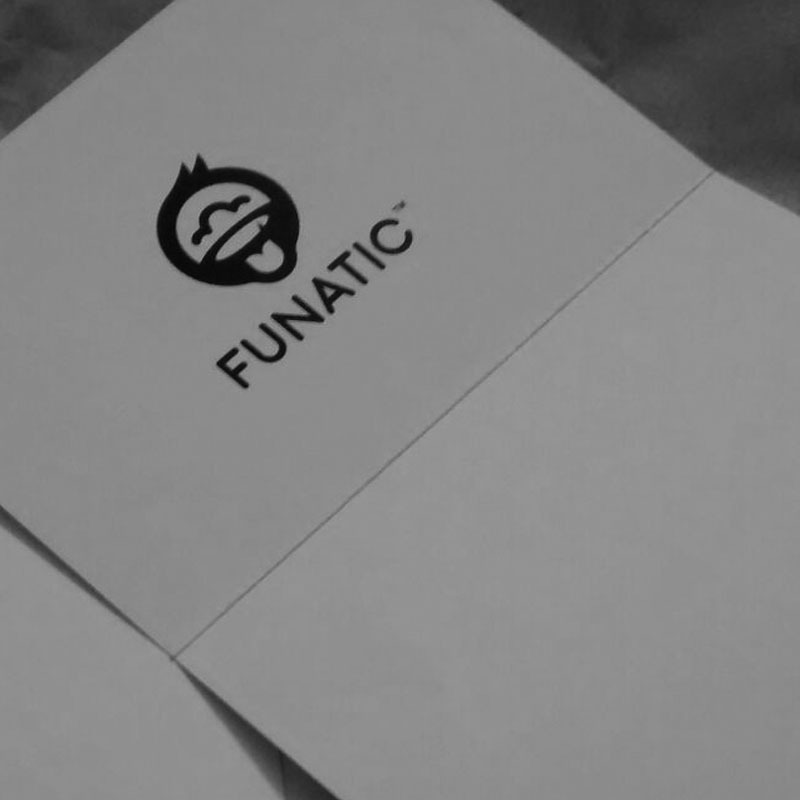 We can also customise your letter according to your need. 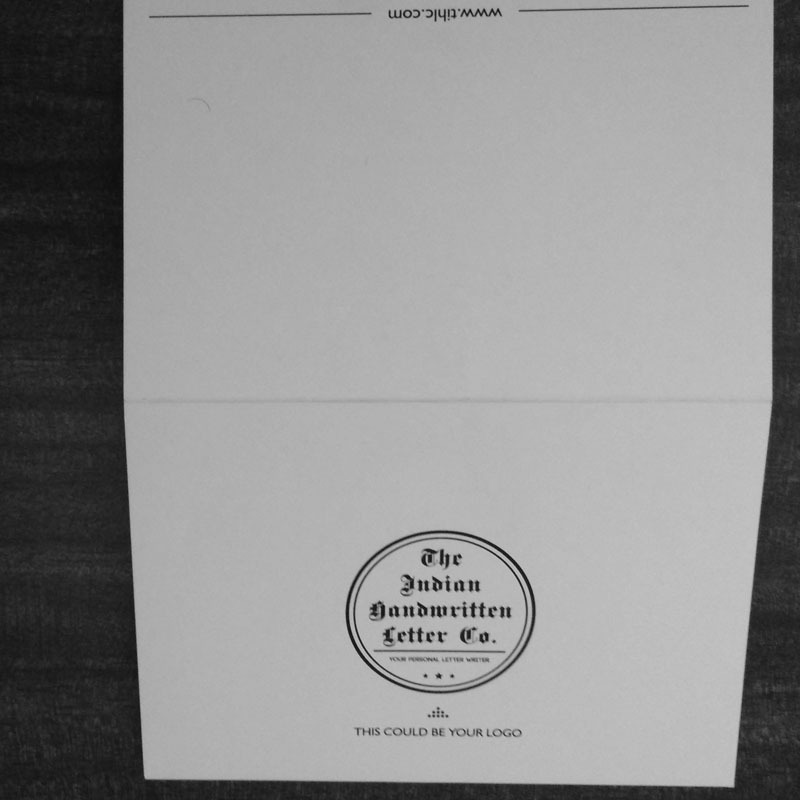 You can choose from the varieties of handwritings we offer to the paper tone of our specially imported papers and yes you also have an option of adding a beautiful memory in the form of a photograph with a starting price of just Rs 99 for 100 words. But wait, it not just a personal letter to your loved ones with which you can make a difference. Are you not being able to crack your dream job? 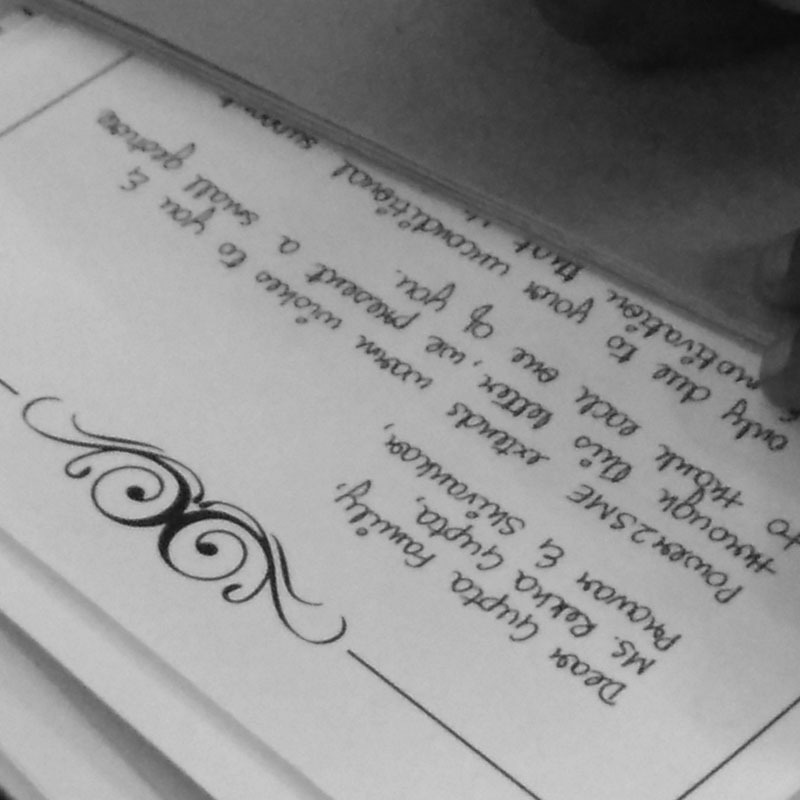 Do you know that the handwriting of a person speaks a lot about their personality? So this time try standing out in the crowd by letting us send across a sophistically drafted handwritten Cover letter and Resume to your dream recruiter and maybe you get lucky too. 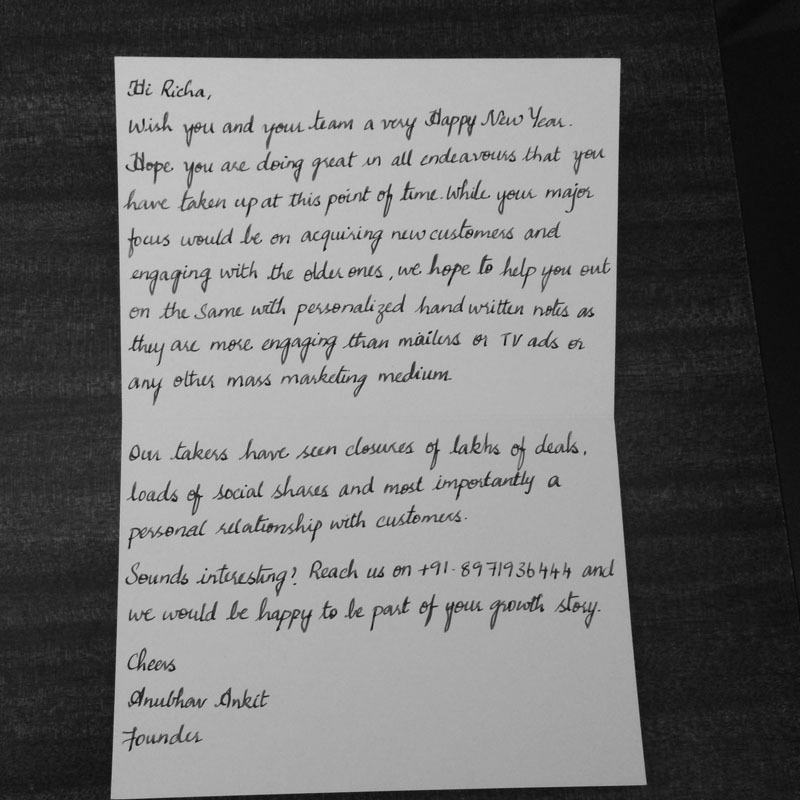 Businesses have always had a difficult time retaining customers but we give you the best way to connect with them in this digital age That is through personalised handwritten letters or notes. This has worked wonders for companies who have used our services as they have seen 73% more retention and connect with their customers. Valentine’s Day is the prime day of expressing love in a romantic way. While the whole year who are expressing love in different ways through different gifts, nothing is timeless. 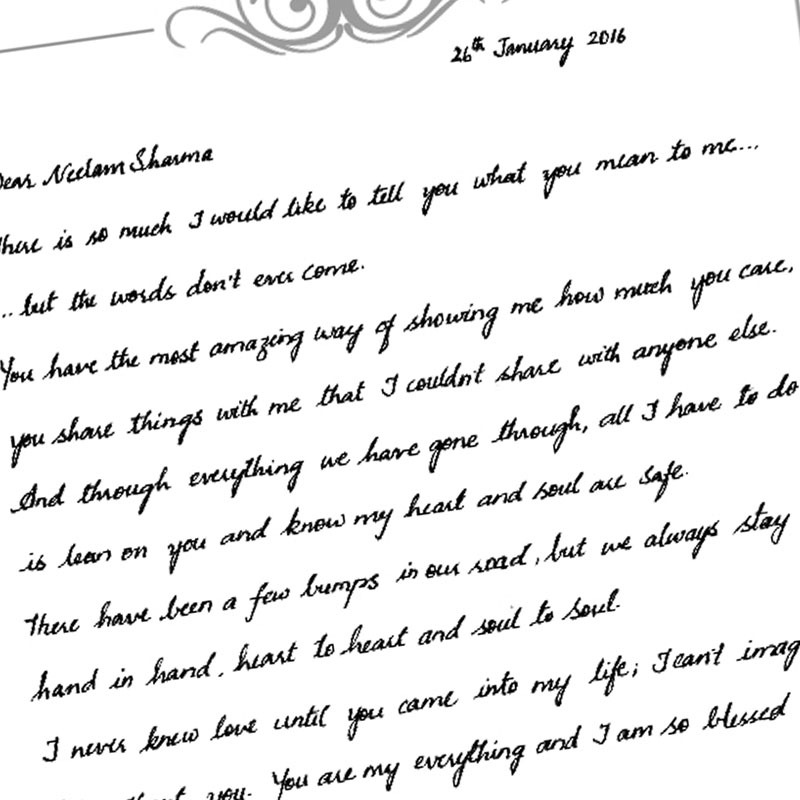 This Valentine's Day makes it count with a handwritten love letter to your special one. Gifts, flowers, cakes or a special dinner are great but are very much perishable. But your feelings penned on paper will always keep reminding them of your love.